Do You need a Business/ Company Registration Service in Nigeria? Then call on us. As Corporate Affairs Commission (CAC) ACCREDITED AGENTS and No. 1 Business in Support Services in Nigeria, we do Prompt and Genuine Business or Company Registration Services in Nigeria. 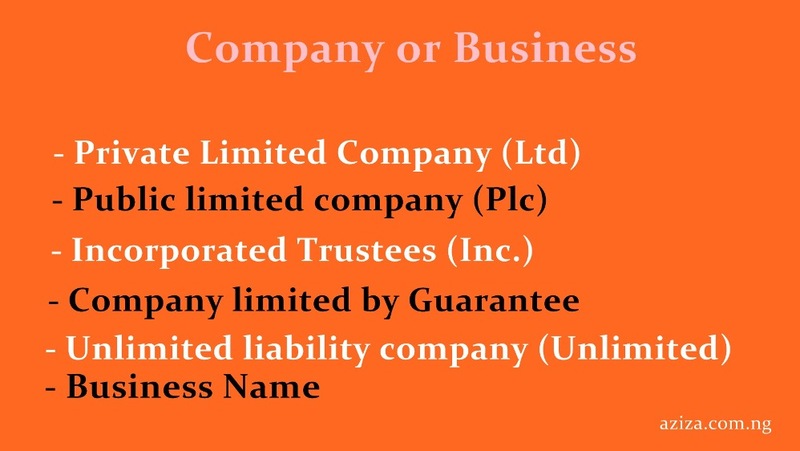 We help persons and organizations to register legitimate company/ business in Nigeria. We will advice and guild you on other legitimate regulation documents that you may need to run your business efficiently without troubles from government (Federal State and Local) host communities. We all give you all the support you till you find your feet. Your location is not a problem to serve you. Irrespective of your location, we can work with you on your incorporation requests and deliver it on time. Whether you are a Foreigner or Nigerian, staying in Nigeria or outside Nigeria. In case you do not know, we advise and guild you on the best type entity that will fit your business activities. The Proposed Company Names and Registered Address.